Marcia B. Shriver of Warsaw, Indiana passed away at 1:50 p.m. on Sunday, September 2, 2018 at her residence at the age of 75. She was born on December 14, 1942 in Lebanon, Indiana to Vivian Beatrice (Birden) Crutchfield and Arthur Crutchfield. 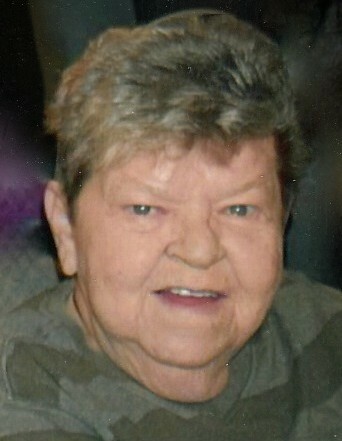 Marcia was a resident of Kosciusko County, Indiana for the past 55 years. She came to Warsaw in 1963 and in 1966 she began working for Da-Lite Screen in Warsaw as a fabric coater until her retirement in 2007. She was an avid fan of Notre Dame and the Cubs. She also enjoyed sketching, camping and vacations. Most of all Marcia loved to spoil her nieces and nephews…she will be forever loved. She will be lovingly remembered by her three sisters: Sue (Jim) Fuson (Mishawaka, Indiana); Sandy Eggers (Atlanta, Indiana); Wilma Justice (Warsaw, Indiana); and numerous nieces and nephews. She also leaves behind her extended family, Barb (John) Owens (Warsaw, Indiana) and their children: Julie (Bryan Hagan) Owens, Cayden, Lola, Anna, Matthew (Elyssa Saunders) Owens, and Evelyn Owens; and Charlie (Heather) Whitaker (Warsaw, Indiana) and their children: Mitchell Whitaker, Aiden and Jordan Foreman. She was preceded in death by her parents, two brothers: Don and Richard Crutchfield; and her sister, Rebecca Rose. Visitation will be held on Thursday, September 6, 2018 from 11:00 – 1:00 p.m. at Redpath-Fruth Funeral Home, 225 Argonne Road, Warsaw, Indiana. Her funeral service will be conducted at 1:00 p.m. on Thursday, September 6, 2018 at Redpath-Fruth Funeral Home and officiated by Pastor Jamy Gregory. Burial will follow with a graveside service at Lakeview Cemetery in Silver Lake, Indiana. Memorial donations in Marcia’s name can be directed to Kosciusko Home Care and Hospice, P.O. Box 1196, Warsaw, Indiana 46581-1196 and would be appreciated by the family.